Write about the “elephant in the room”. You know the thing everyone can see, but no one is talking about. 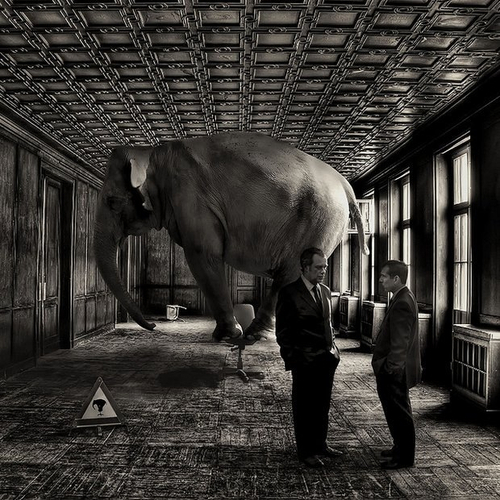 Figure out what the “elephant in the room” is in your world and write about it.